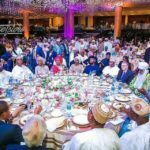 No doubt, Nigerian has remained the Giant of Africa but it is evident that lots of money in the country only circulates within the corridors of power. Those in power are known to use the opportunity to enrich their pocket and to take care of only their family. The common myth in Nigeria is that once a person assumes the position of an office in government, he is there to accumulate wealth. Don’t blame the people, they get to say what they see. We’ve got a lot of wealthy business men in the country but we see politicians rank at the top of richest people in Nigeria. Some of these politicians are listed below with their net worth. Ibrahim Badamasi Babagandia tops the list with an estimated net worth of $5 billion dollars. He was born in August 17, 1941 in Minna. He is a retired Nigerian Army General who was President of Nigeria from August 27 1985 to August 26, 1993. He also served as the Chief of Army Staff from January 1984 to August 1985. 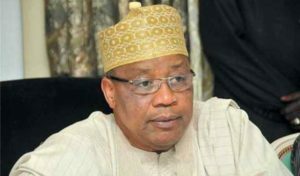 Aside politics, IBB also has interest in the telecommunications and oil industry in Nigeria. It’s reported that he owns 65 percent of Fruitex International Limited in London and 24 percent of Glo network. 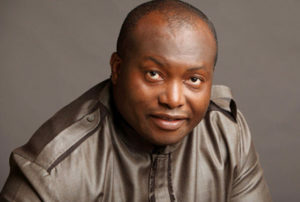 Ifeanyi Ubah is a Nigerian politician and businessman with an estimated net worth of $1.7 billion dollars. He was born on September 3, 1971 and native of Nnewi in Anambra state. According to sources, he was already a millionaire before he went into politics. 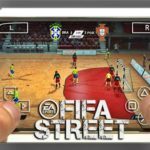 In fact, he made his first million at the age of 19. He is one of the richest politician in Nigeria with diverse business interest such as real estate, oil and gas, transport and so on. Chief Olusegun Obasanjo was born on May 5, 1937 in Abeokuta, Ogun state part of Nigeria. He is a former Nigerian Army general who was also civilian President of Nigeria from 1999 to 2007. OBJ as fondly called, served as the head of state twice. He served as the military ruler of the country from February 13, 1976 to October 1, 1979 and also as a democratically elected president from May 29, 1999 to May 29, 2007. 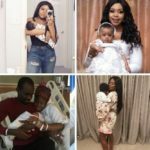 He is a politician and entrepreneur who owns the Otta Farms in Abeokuta and other businesses and investments within the country. 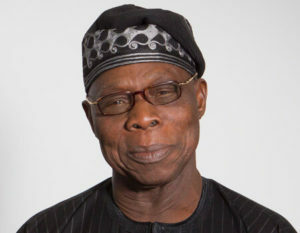 Olusegun Obasanjo net worth is estimated at a sum of $1.6 billion dollars. 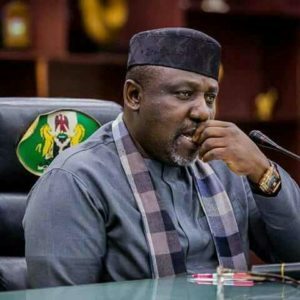 Owelle Rochas Anayo Okorocha popularly known as Rochas Okorocha is a Nigerian businessman, education philanthropist and Politician from Imo state part of Nigeria. Rochas won the May 6, 2011 gubernatorial election in Imo state and was reelected for his second term on April 11, 2015. He also has a foundation, Rochas Foundation, a charity which grants scholarship to the less privileged. It is believed that he made his money before coming into politics, His net worth is estimated to be $1.5 billion dollars. Chief Bola Ahmed Tinubu is a popular Nigerian politician born on March 29, 1952 in Lagos. He attended Chicago state University and obtained a bachelor of science degree in Accounting in 1979. 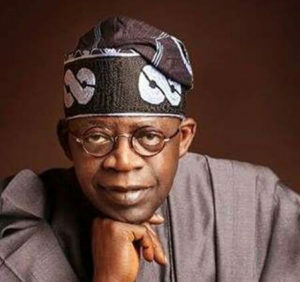 Tinubu started his political career in 1992 under the platform of Social Democratic Party. He was the governor of Lagos state from May 29, 1999 to May 2007. Bola Tinubu net worth is estimated at $1.4 billion dollars. 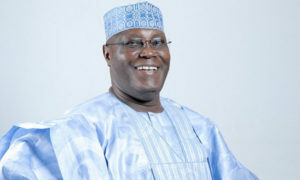 Atiku Abubakar is a Nigerian poltician and businessman born on November 25, 1946. He was the 11th vice president of Nigeria under president Olusegun Obasanjo from 1999 to 2007. Atiku served in the Nigeria Customs Service for Twenty years and retired in April 1989 where he now ventured into full time business and also politics. He also ran for the office of governor in the old Gongola state now known as Taraba States in 1991 and for the presidency in 1993. He was placed 3rd position behind MKO Abiola and Babagana Kingibe in the Social Democratic Party (SDP) primaries. He later became the elected governor of Adamawa state in 1998 also became the vice president of Nigeria on May 29, 1999. Aside politics, Atiku is also a businessman with wide range of business interests. He owns a manufacturing company in Adamawa and also the founder of American University of Nigeria. Atiku Abubakar has an estimated net worth of $1.4 billion dollars. Orji Uzor kalu was born on April 21, 1960. He was the former governor of Abia state and also the chairman of Sun Daily and New Telegraph. He has stakes in Enyimba FC of Aba which was a successful club, having won the CAF competition back to back. 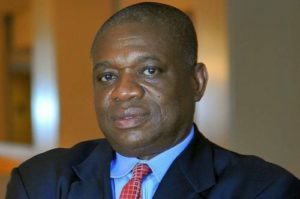 Orji Uzor Kalu has a net worth of $1.1 billion dollars. Dino Melaye was born on January 1, 1974 and hails from Kogi state part of Nigeria. Dino is known to represent the Kogi East at the upper arm of the Nigerian legislature. The Senator is considered to be highly controversial and very outspoken against the current administration of the country which has led him jumping from APC to his former party, PDP. 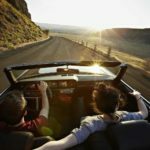 He owns several properties including fleet of expensive cars which he flaunts on social media. 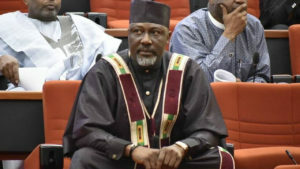 Dino Melaye net worth is estimated at $800 million. 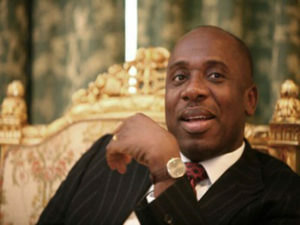 Rotimi Amaechi is a Nigerian politician born on May 27, 1965. Amaechi was the former governor of Rivers state, having served from 2007 to 2015. He was formely the Speaker of the Rivers State House of Assembly. After his tenure ended as a governor, he was appointed Minister of Transportation under the Buhari led administration. Rotimi Amaechi has an estimated net worth of $780 million dollars. Senator Ben Murray Bruce is a Nigerian business magnate and politician born on February 18, 1956. 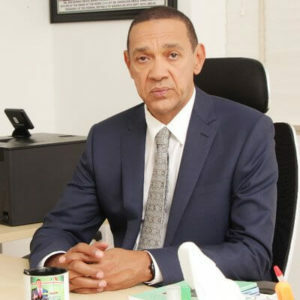 Ben Bruce represents Bayelsa East Senatorial district in the National Assembly. 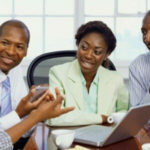 He is also known as the chairman of Silverbird Group. Ben Murray Bruce has an estimated net worth of $715 million dollars.